I like to call this golf/beach resort my secret mini getaway destination. Sadly, the secret has already been out in the two older posts that I wrote on this magical beach club. You can check them out again here and here. 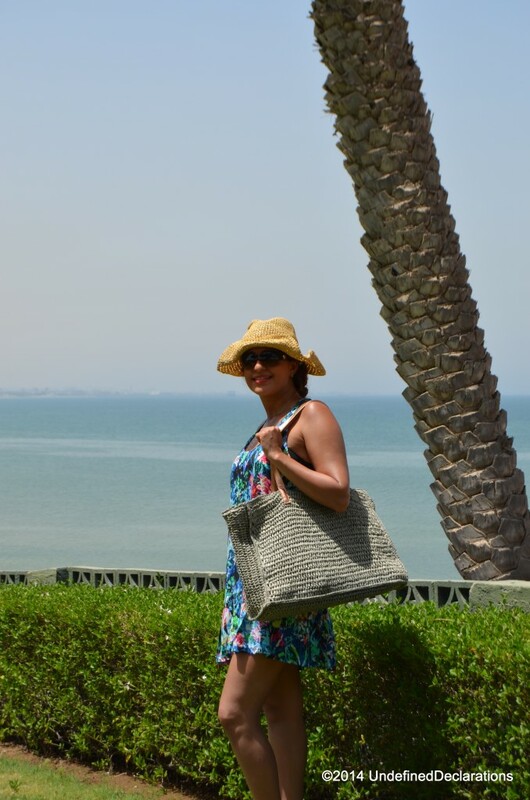 Now although I’ve been to most of the five-star Dubai beach clubs, and most recently have checked one out in Abu Dhabi, I must admit that I always find myself coming back to this lovely and secluded beach club: the Jebel Ali Golf Resort and Spa. There’s something about this beach club that is not found at any other location in Dubai. For the most part, its location outside of the city makes it perfect for a mini getaway when you don’t have time for a short or long trip on a jet plane. 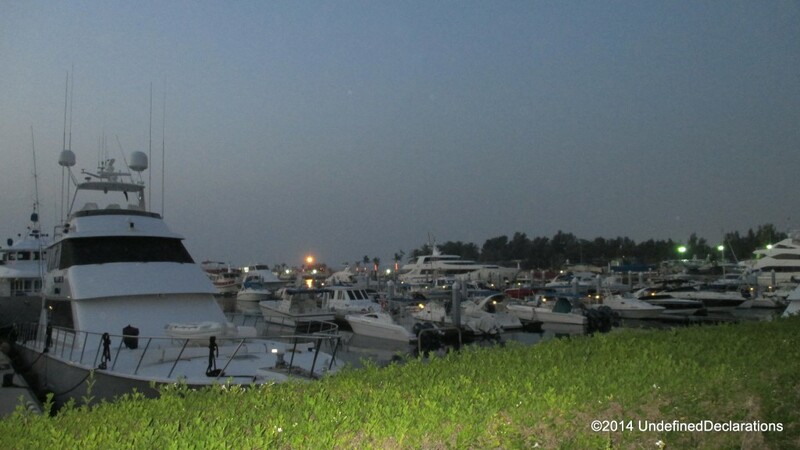 The atmosphere is unlike any other in Dubai….you feel transformed into a different and classy world. Where comfort, top of the notch facilities, and a chilled vibe are the only existing elements. Honestly, I could go on and on about this place without getting tired. But let me take you on a journey of how I spent my day at the resort last week. After lounging by the infinity pool and going for an incredibly refreshing swim, I headed to Captain’s bar for a light lunch. 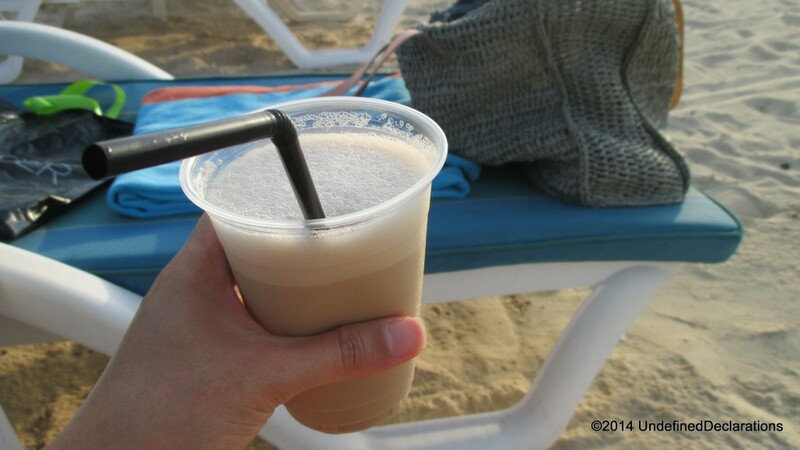 The bar is located by the 800 meter wide beach, and is completely shaded. 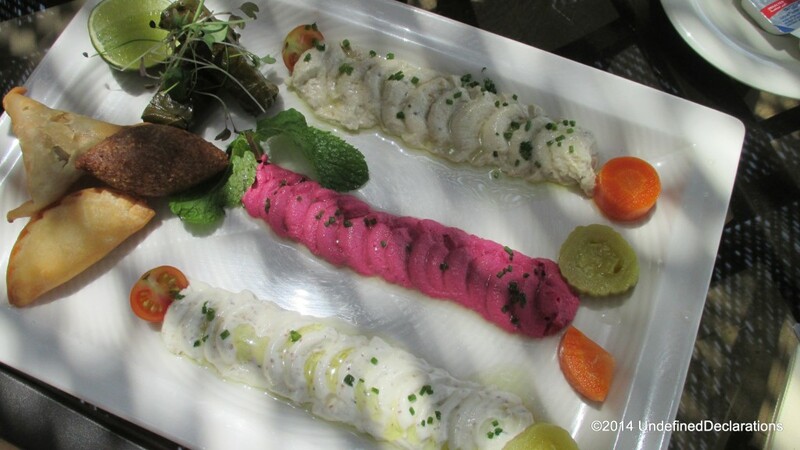 I had the Arabic mezza plate and a Caprese salad. I had booked a treatment at the spa at the beginning of my day, and so I decided to use the spa wet room facilities before my treatment starts. 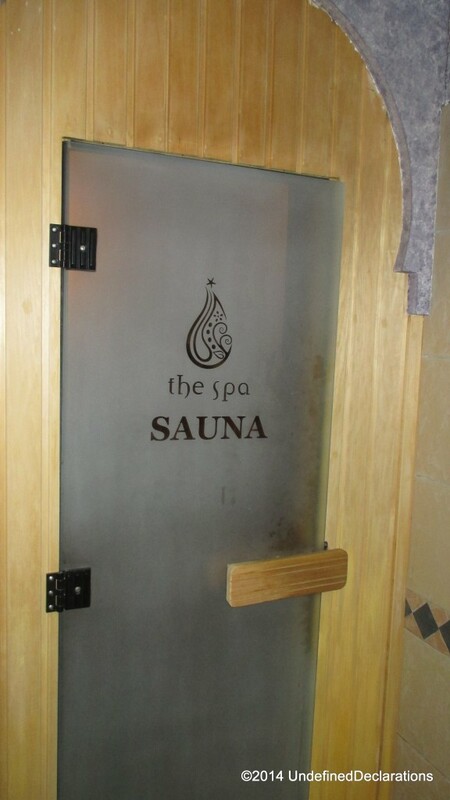 The spa wet room facilities include a jacuzzi, a steam room and a sauna room. They can be used by anyone who books a treatment at the spa. My favorite part is without a doubt the jacuzzi. I’ve been day-dreaming about soaking in the jacuzzi for a couple of weeks, if not months! Tip: Don’t miss out on the experience showers available at the spa. These are to be used in between lounging in the steam, sauna or jacuzzi! The spa offers a variety of signature treatments on a daily basis. 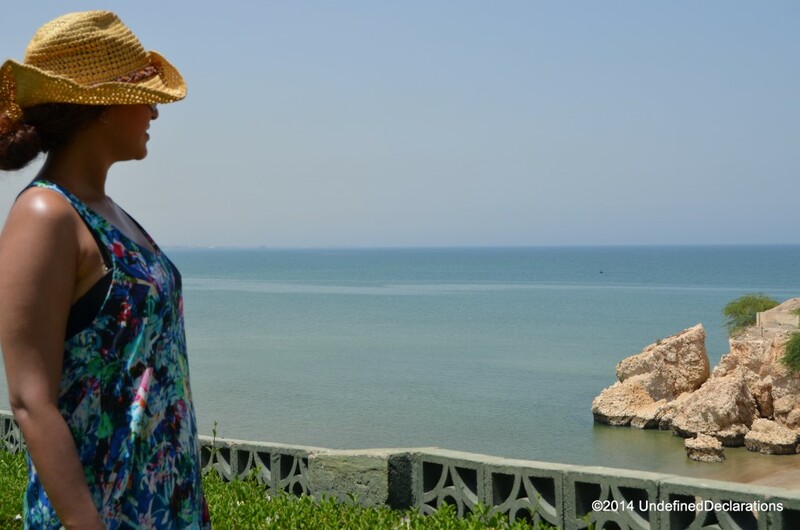 On Tuesday – the day that I was there – the treatment was for a traditional Hammam and scalp massage! I’ve only had a Moroccan bath once, but this was my first time to try a traditional Hammam treatment, and I’m so glad that I did! The treatment left my skin feeling baby soft and tender to touch. It also removed all the dead skin cells and left me feeling lighter, fresh and so rejuvenated. The therapist was also great as she exerted just the right amount of pressure while scrubbing my skin. I also have extremely sensitive skin and the treatment was gentle and didn’t irritate my skin or anything. The spa used Elemis products in all its treatments. In the traditional Hammam, a Moroccan black soap was used in addition to the Elemis products. The treatment included a highly relaxing and soothing scalp massage. I didn’t want it to end! 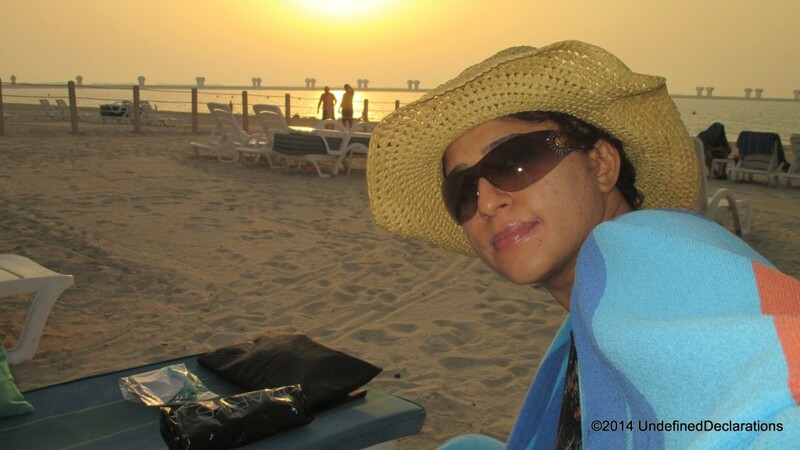 After my treatment was over, I made my way to the beach to catch the last sun rays before the sun sets! and if you’ve been following me on my Facebook Page, you would know that I can’t be at the beach and not have an iced latte! Iced Latte at JA Beach! 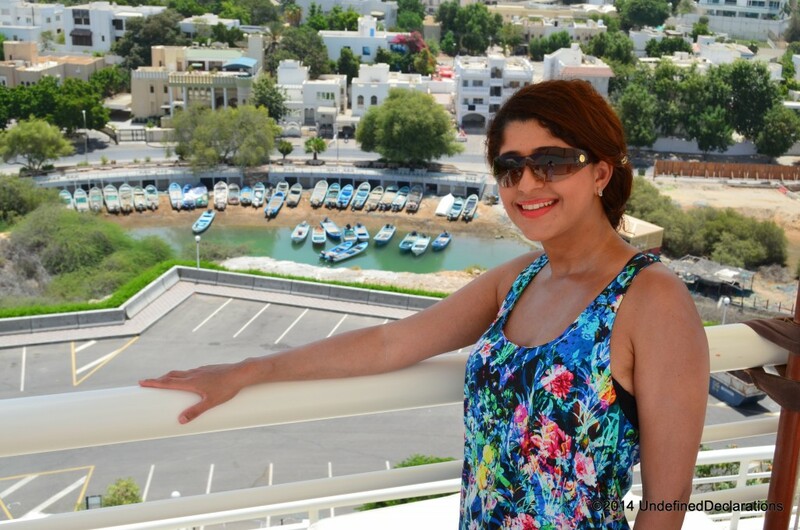 Me at my favorite Dubai Beach Club! All I could think of while waiting for the shuttle bus to take us back to the city, was: I want to just live out here and never leave! I think the energy in that place is just so amazingly positive, that I always leave a much happier, peaceful and relaxed version of my typically sad and depressed self! Do you want to know what makes this resort unique? 800 meter wide beach access. Access to four swimming pools, including one with salt sea water! Access to a variety of water sports. 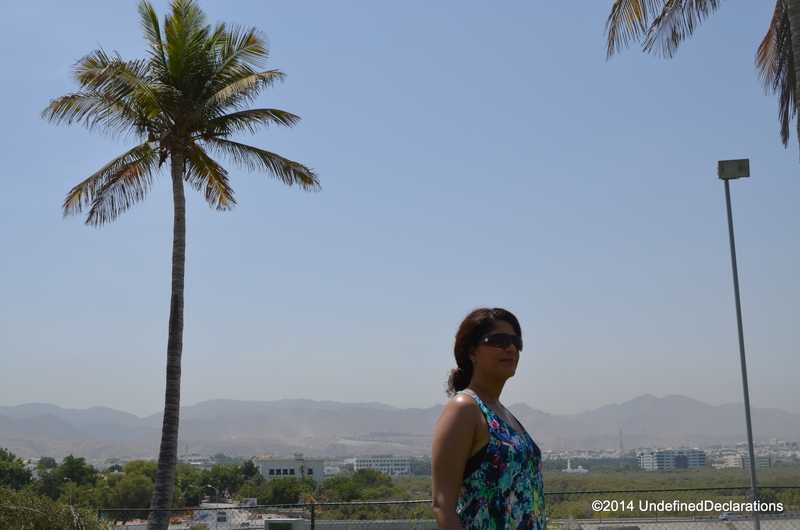 Two hotels; Jebel Ali Beach Hotel and Palm Tree Court. A number of dining and bar options. A shuttle bus service is also available to transport guests to and from a number of landmark locations in the city! Since I didn’t get to spend much time on the beach this time, because of my spa treatment. I’m definitely planning another trip to this magical resort soon. Most likely it will be after my summer term at University ends. And I would love to stay at the Palm Tree Court residence for a night or two. I might even try out some water sports while I’m there. And who knows, maybe, I will finally finish reading that book about blogging! 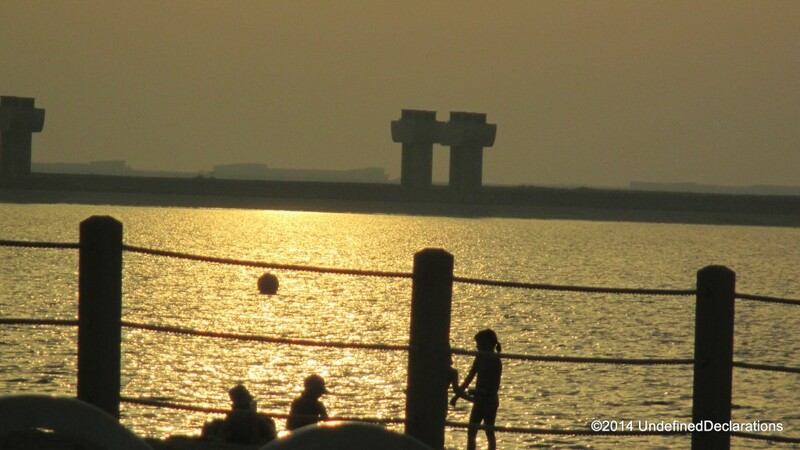 Romantic Date Destination at JA Beach! So it seems that most of my fans can’t really afford to spend time reading my posts…and I’m honestly getting tired of trying to promote my posts, my Facebook Page or my baby blog. That’s why, I have decided to write short posts (OK mostly because I don’t have the time to write long posts anymore with the University commitments and stuff) and to spare you the agony of having to go through lines and paragraphs of content that you might not even find interesting! I had done a couple of brutally honest beach club reviews before the crazy Dubai summer months began. You can check out my latest one here. But since I felt like I was melting in the shade while doing that review and since it wasn’t sponsored by any entity and since I developed a small facial skin defect after doing that review, I decided that I had gone too far with my blogging compromises and that it was time to regain some of my sanity before I went out and did another Dubai Beach Club Review. Fast forward four months later, I find myself back on the beach club review track. This time, joining the Russian, Italian and British tourists at one of JBR’s private stretches of beach: Le Royal Meridien Beach Resort and Spa. 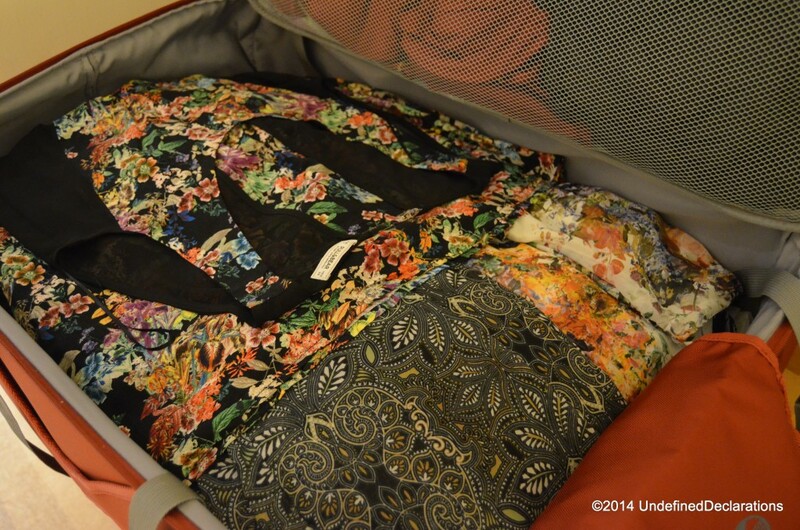 As my blog’s title suggests, my day at the resort wasn’t sponsored in any way. I paid the exact fee for the weekend day pass (350 AED), I took my own photos, I paid for my own lunch at the walk and later the two refreshingly tasty iced coffees that I had! And I would like to add that I was doing this for the rest of the beach club reviews that I had previously done on this awesome (even if no one agrees!) blog. I’ll never forget that summer night when me and Sarah were sitting at one of the juice bar cafes at JBR walk (over a year ago) when we first met…we were talking about how our lives are full of struggles and how nothing ever comes easily to us. Then Sarah lifts up her small bottle of water and says: “For us, even this is a struggle.” Referring to the act of drinking bottled water! Yes, it’s a sad reality I know….and I hope that you will sympathize with us by at least following my random and silly posts on my blog’s Facebook Page and maybe commenting on a post or two. OK, so maybe the post didn’t end up being as short as I had planned it to be…but I guess I still have to practice writing shorter posts. Especially after the extended and detailed reviews that I was mentally doing earlier. Until the next post, you can continue to hear my endless rants and follow my silly posts by becoming a fan of my Facebook Page. Posted on November 1, 2013 Author Nada Al GhowainimCategories Beach Clubs, Dubai, Featured, ReviewsTags a day at a Dubai private beach, Dubai beach and pool access, Dubai beach club review, Dubai JBR private beach access, Dubai JBR private beach club review, Dubai JBR walk, JBR private beach access, JBR walk, Le Royal Meridien Beach Resort and Spa day pass, Le Royal Meridien Beach Resort and Spa Dubai, Le Royal Meridien Beach Resort and Spa Dubai review1 Comment on My Unsponsored Beach Day! For anyone who has never been to the beach in Dubai Marina (I honestly haven’t until this time! 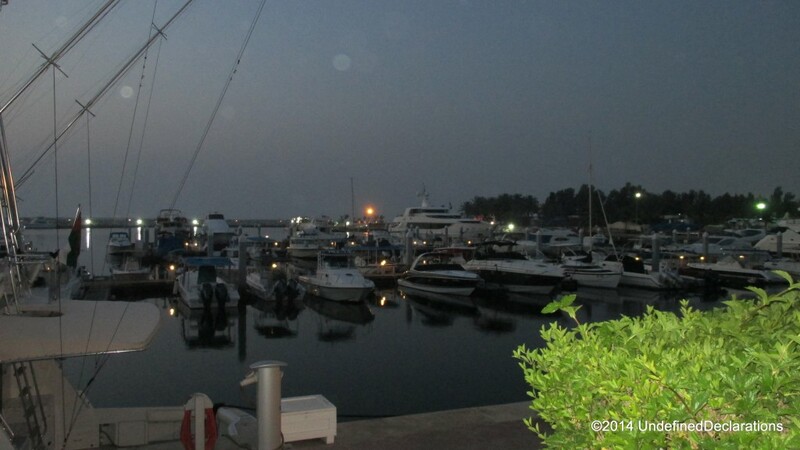 ), you will notice that the loungers are located at a far distance from the water. I was told by a staff member that it is a government rule and that all of the beach clubs on that strip have a similar setup. 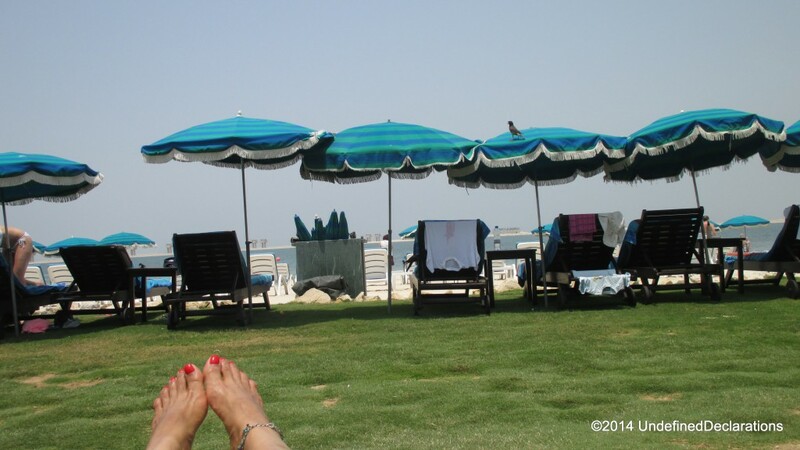 It was a bit of a disappointment to me as I had previously gone to the Jebel Ali Golf Resort and Spa where the loungers are situated close to the sea shore. You can read that review here. 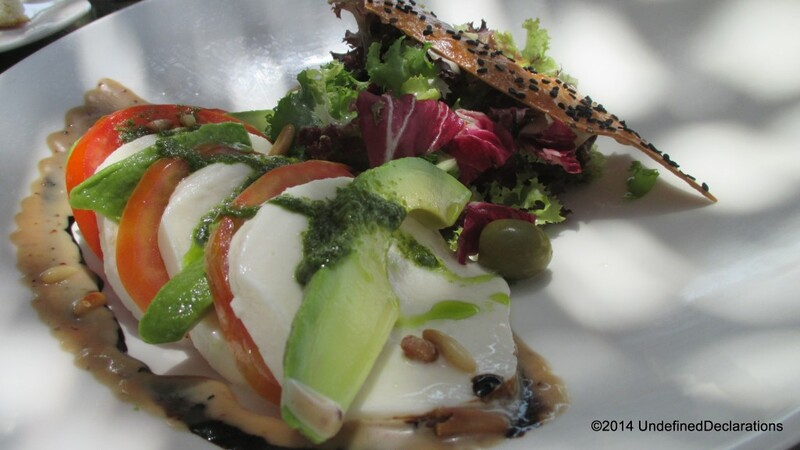 There are many options for lunch at the Habtoor Grand. 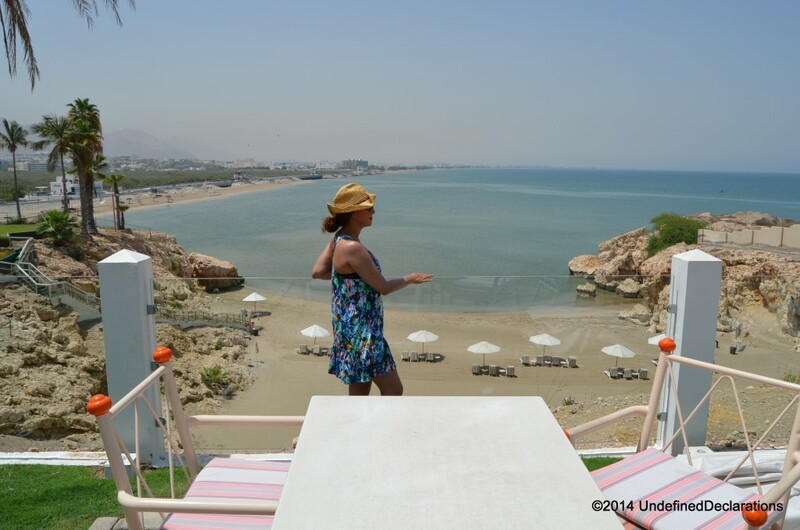 If you are alone or want to have a light lunch at the beach or pool area, then you could order a shawerma, burger or hot dog and other snacks from the “Al Manarah Beach Bar” or the pool bar. If you want to try the famous Dubai brunch with barbeque and all, then you could have a nice outdoor brunch at XL Beach Club. That will cost you 260 AED per person. The brunch timings are from 1 to 4 pm. If like me, you want to have a healthier meal at and sample one of the restaurants at the hotel…there are a number of cuisines to choose from. “Villa Romana”, “Al Basha”, “Fish Bazaar” and “Luciano’s” are some of the restaurants surrounding the beach and pool area at the resort. 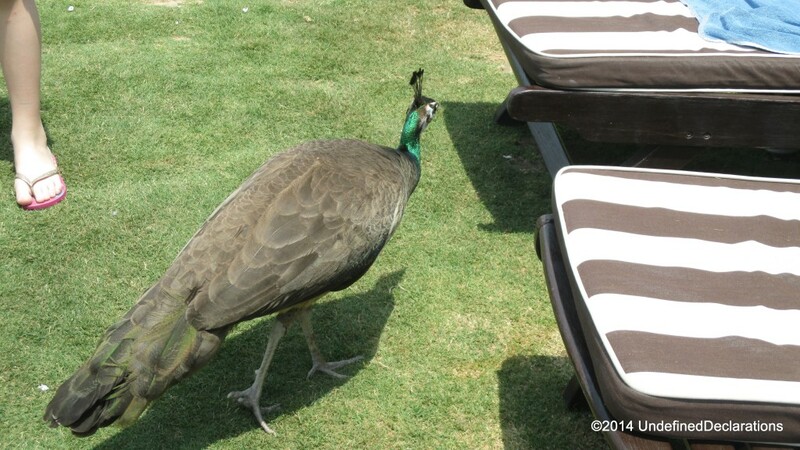 Peacocks in this resort too! After my second hour in the water, I felt like I needed to have an energizing drink to keep my body hydrated. While standing at the beach bar, my eyes couldn’t stop staring at the tall glasses the couple standing next to me had. When I asked the lady what it was, she explained that it’s an iced-coffee with ice-cream and that it’s really good. So, that was what I decided to order to quench my thirst. And another couple who saw the bar tender make my drink ordered it as well! It was the perfect ending for my long day at the beach. As the coffee wasn’t too sweet (vanilla ice-cream only was used to sweeten it), and it was so refreshing after a day out in the sun. Children ages: 4 – 15 years old, below 3 are free of charge. Weekends are Thursdays, Fridays and Saturdays. Club Memberships are available and special membership rates apply. 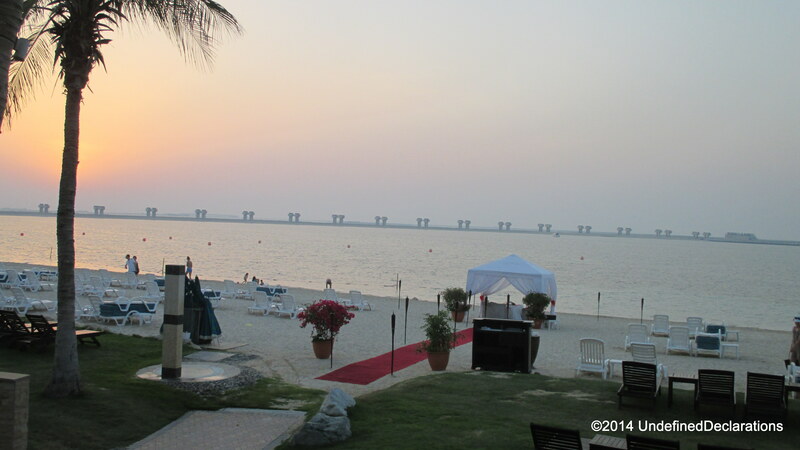 I had previously written a review on the Jebel Ali Golf Resort and Spa UAE residents weekend package. You can read all about it here. Today, I was delighted to visit the lovely beach property again (yes, I rarely go to the beach) and spend the day at this relaxed and revitalizing beach. I arrived to the beach at around 11:30…the weather was a bit windy today, but it was great for swimming and lounging by the sea. And finally, no trip to the Jebel Ali Beach Resort and Spa is complete without seeing our friends; the magnificent and outstanding peacocks! Even if it’s on our way out; after a long day spent unwinding and relaxing at the beautiful pristine beach. 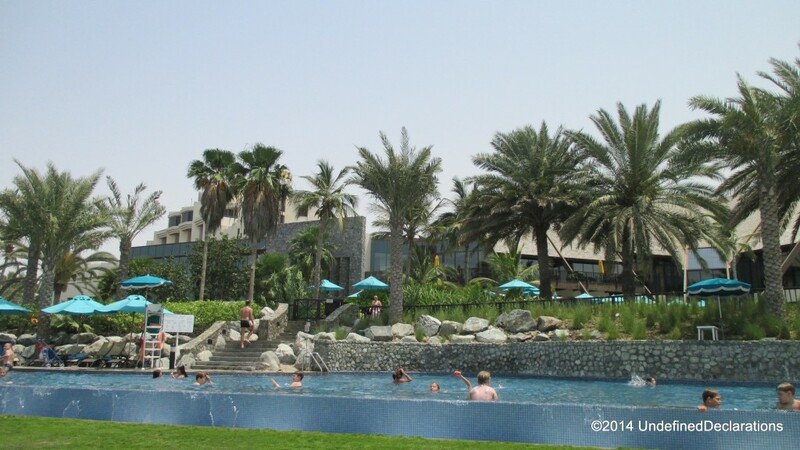 The day pass for the pool and beach access is AED 220 for adults. And AED 325 including an extensive lunch buffet with live cooking stations and an outdoor barbecue station. 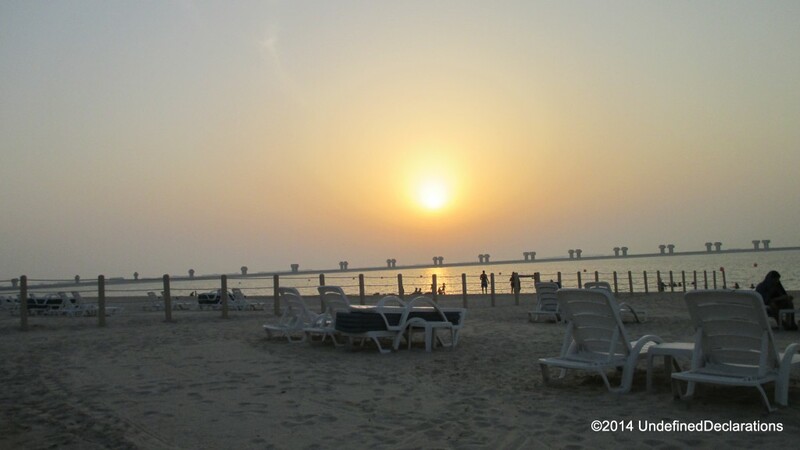 Whether you are someone who is looking for a quiet day to relax by the beach and read a book, or if you are more adventurous and would like to try a new water sport or outdoor hobby, or are simply looking to chill by the pool on your day off of work, I assure you that Jebel Ali Beach Hotel will do its best to meet your leisurely needs.